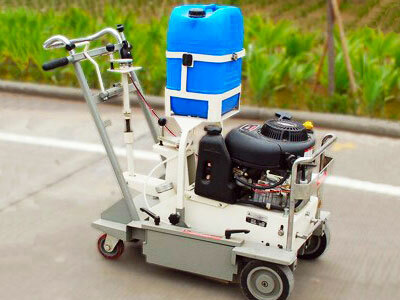 DY-RMR thermoplastic road line removal machine is specialized for clearing away the broken, stained and wrong marking lines. 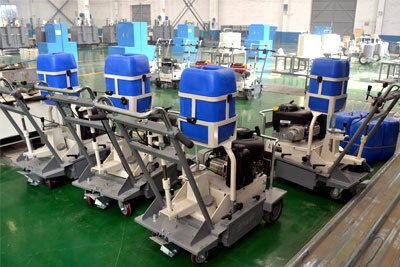 Imported tungalloy cutter is hard and high speed rotating, with long service life, and easy to assemble. Imported tungalloy cutter is hard and high speed rotating, with long service life, and easy to assemble. Fixed with depth adjuster equipment, can accurately adjust and fix depth according to the needs. 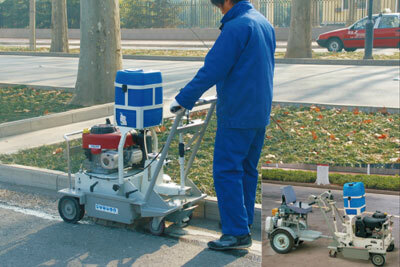 According to the conditions of road surface and different kinds of paint, the removal pressure can be adjusted. Automatic clutch makes the cutter automatic clutch with removal shaft according to the engine speed and the conditions of road surface, which makes sure the high quality removal, fewer damages and extends service life. Equipped with emergency stop switch, which can stop the machine in short time. 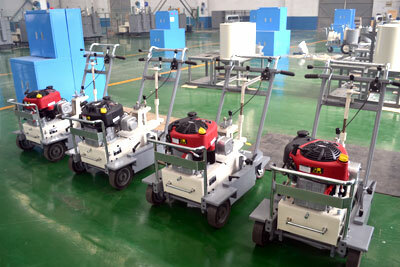 Convenient foot control parking system makes the machine in safety condition in any time. Forward, back off, left or right operated freely. A firm welded frame, whose surface has been chrome-plated or high temperature treatment; the four-wheel structure makes the whole machine work more stable, and operation more convenient.